ForTechiesOnly: 2014 Year of Smartphone photography disruption : Whats next in Cams ? 2014 Year of Smartphone photography disruption : Whats next in Cams ? I have been thinking about "what's going to be new" in the next generation of smartphones for quite a while. Both at the hardware and software level. One of the most rapidly changing pieces of hardware in smartphones are the cameras, sensors, lenses, flash, and everything else that has to do with photo or video capture. It stems from Consumers being able toe asily wrap their mind around the quality difference between various hardware/software cameras in smartphones. For awhile now it has been feeling like the MegPixel race has reached its logical ceiling. All the high to medium end phones have more than enough megapixels to take a quality picture. The quality of the photo by regular users is now more based around lenses, auto focus, digital zoom, sensitivity to motion, ability to take pictures in low light. For all of the above there has been several different hardware and software versions brought to market, and those solutions hav had several generations to evolve. So what is next ? What comes after we have perfected auto-focus, auto facial recognition, stabilization, low light, and digital zoom approaches ? My bet is that Light - Field capable camera sensors will disrupt the startphone camera space. Light field cameras have been introduced to the mainstream by Lytro.com . 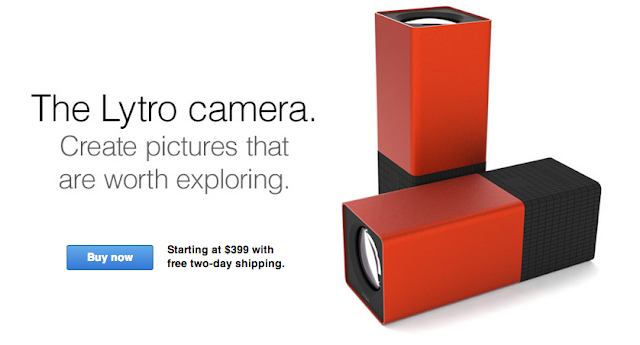 Lytro is a pretty awesome device that has a lot of techies excited for quiet some time now. They are a dedicated camera , that is on the large side of pocketable, with a unique rectangular shape. The reason Lightfield cameras are cool is well described in the intro of Lytro's founder's Stanford Ph.D thesis. It describes how legendary photographers talk about "the golden moment" where light conditions, the subject of the photo, the focus, timing of the shutter , all line up in Golden Moment that produces a beautiful photo that is emotive and makes people feel like they are there. However, the reality is that most of us fail to be patient enough or snap many thousands of pictures one of which may capture the golden moment . So as an awesome solution to this Lytro lets users capture a Lightfield, that captures ALL the focal points of the shot, and lets a user select which object in the photo to create the focus on and what to blur AFTER they have taken the shot. This is a pretty big difference in the experience of taking and editing a photo. One that i think hundreds of millions of users will enjoy, since it makes the average person take better photos (kind of like Instagram made millions of people produce more beautiful pictures). Just play with the example photo embedded below to see for yourself (click around on the photo to explore various focal points). However the problem with Lytro is that it is a dedicated device that is pretty big. 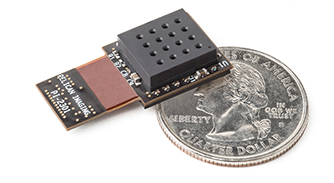 The Lytro like lightfield technology is being shrunken down into micro scale camera sensors, or usually a grid array of sensors by companies like Texas Instruments (TI) and disruptive startups like Pelican imaging. On a side note Pelican Imaging used to be on the floor below Skyfire's Mountain View office (which is how i discovered them 9 months or so ago). Pelican imaging has shrunken down Lytros ability to capture a lightfield, by making a 16 sensor grid ( 4 x 4) each focussed at a different focal length. The real trick is in the software that can interpolate focus in between any of the focial points of the hardware sensors. Thus effectively capturing a lightfield shot with all of the focal points in between the two extreme focal lengths. The rumor is that Lytro has already signed one of the major Smartphone OEM's to ship a pelican Grid camera sensor in. The first of these devices should appear in 2014, and from there i expect we will see lots of devices and OEM's start adopting the tech. Pretty exciting if you are into smartphone photography.